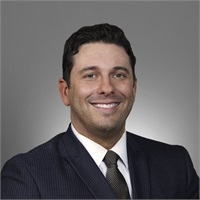 Ryan is Associate Wealth Advisor with Elios Financial Group. In addition to conducting client reviews, reporting, financial planning and rebalancing portfolios, his role at the organization is integral to business development, analytics, and the oversite of many technologies used in the office. Experience: Ryan is an experienced financial professional with 10 years in the financial services industry. He began his career at KeyBank working in Business Banking and Treasury Management managing accounts for businesses across the company’s nationwide footprint. Ryan was also actively involved in various projects which helped create streamlined operations and increased efficiency. Ryan successfully completed his Series 7 in December 2015 and Series 63 in September 2016. Education: Ryan graduated from the College of Wooster in 2006 with a Bachelor of Arts in History. His senior thesis was on the origin of public opinion and the application of public opinion and the presidency. Personal: Ryan resides in Avon with his wife, Britney and son, Pierson. In his spare time he enjoys pursuing his dream of hitting a hole-in-one and contributing to Greater Cleveland philanthropically.